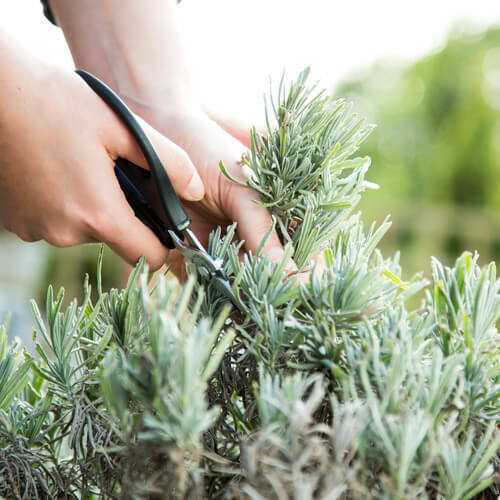 Many plants benefit from a general pruning during the colder months. Because dense growth makes it very difficult for light and water – both essential for healthy growth – to penetrate all parts of a plant, a good tidy up will allow for better air circulation and let light and water in, making it a necessary drought-readying activity in autumn. Why should you prune? Clearing dense growth creates better air circulation, which means fewer cases of fungal diseases and insect pests. Tidying up allows more light and water to penetrate the plant. Old trees and shrubs tend to develop very long, spindly branches. Pruning these forces the plant to sprout new, stronger branches or shoots. Getting rid of diseased and dead branches encourages healthier plant growth. Pruning keeps your garden neat and prevents the obstruction of pleasant views. Before you begin, make sure your secateurs are clean and sharp, and grease all the moving parts well. It’s a good idea to invest in a pair of elbow-length gloves if you’ll be pruning very thorny or spiky shrubs. What should be pruned in autumn and winter?